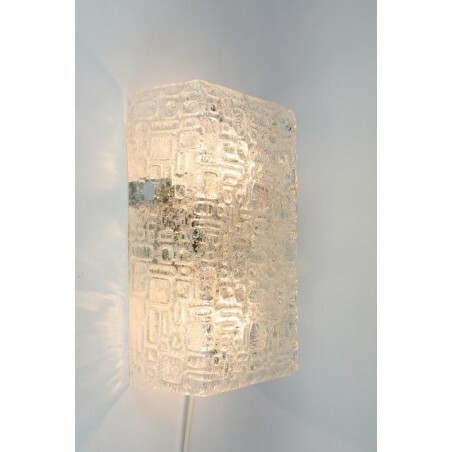 Nice wall lamp from the 1960's made of glass. 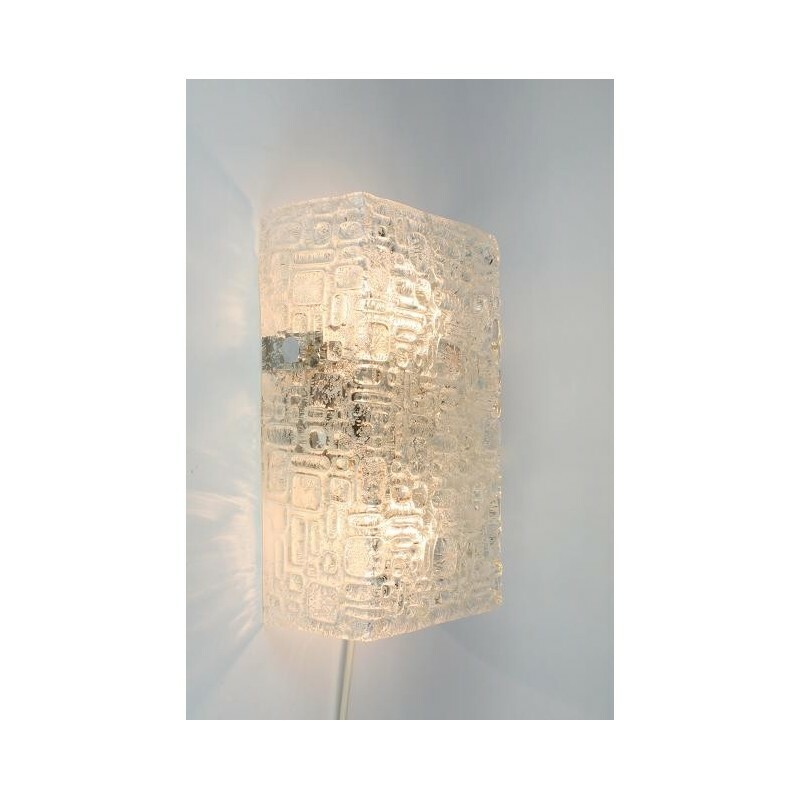 The luxury lamp gives a nice light, see also the detailed picutres. The condition is good, there are no damages. The dimension is 30,5 cm H/ 18,5 cm L/ 10 cm W.